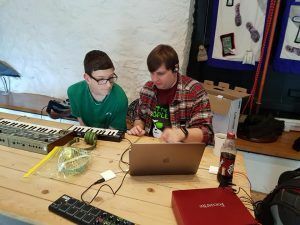 Youngsters in and around Kendal are getting more digitally creative with sound and music thanks to an #iwill grant of £4,500 awarded to Heron Corn Mill in Beetham. The Mill Hoppers is a monthly youth group for more than 70 youngsters aged 7-15 and split into two age groups, with many of the boys having special needs. The groups do a wide range of work connected to science, engineering and technology with a range of artists and tutors. 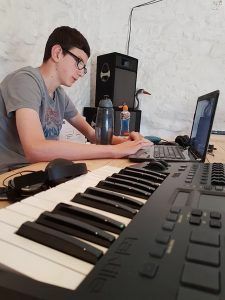 The grant has encouraged the older group, those aged 13-15, to volunteer and mentor the younger group, while working on more challenging projects and offering them more freedom of expression within their work. Young people in the group learn a number of important key skills based around music and video production. Group members are also mentored on a one-to-one basis by the artists leading the group, who have a number of years’ experience in their respective fields. The project aimed to help the youngsters reach their full potential in areas they are most interested in. They have gained skills to transfer to other projects and have developed the skills necessary to mentor and assist their peers.